If you have just finished eating and but still you feel being hungry at all hours, wanting to eat again, maybe it’s because you’re not adding all the nutrients you need to your plate. How to avoid constant appetite? We tell you in the next article. You have just returned to the office, after a copious buffet lunch at a nearby restaurant. 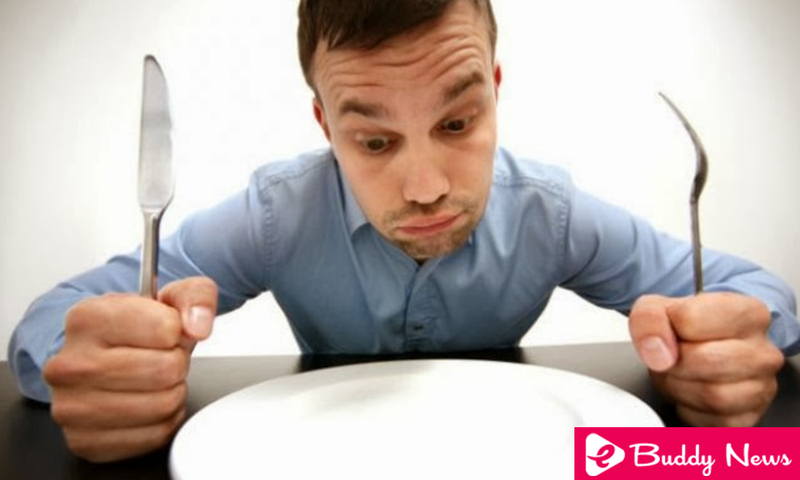 Not even an hour passes and besides feeling the typical fatigue of digestion, you realize that you die of hunger! Many times we think that we are hungry when in reality we feel thirsty. And the lack of hydration can have the same “symptoms” as the appetite. In either case, the body needs fluids; But the hypothalamus cannot identify if it requires solids or liquids. This is why it “awakens” the region of the brain responsible for both sensations. Sleeping badly is synonymous with imbalances in the production of hormones. Lack of sleep will cause ghrelin levels to be higher, which can make you feel hungry at all times. In addition, insomnia reduces the amount of leptin, a hormone responsible for feeling satiety. Also, it is likely that the organism will “ask” you for reward foods such as sweets or flours. The sweets are not very healthy and although they have many calories, they fill the stomach only for a while. The carbohydrates present in sweets, cakes, and cookies produce peaks of blood sugar, which then fall very much to the normal level. That’s why after an hour of consuming a portion of dessert, you’ll want to eat again. When high levels of stress trigger the production of adrenaline and cortisol, something similar happens with insomnia. These hormones are responsible, among other things, for increasing appetite and reducing serotonin, which leads to the feeling of ravenous hunger even after lunch or dinner. Some eating habits can make us feel hungry at all times. For example, if you do not add enough protein in your lunch, if you do not eat enough healthy fat or if you skip meals, it is very likely that your stomach “cries out for food”. Also, it may be because you are consuming too much alcohol (which dehydrates), that you are eating too fast (the brain does not get the signal that your stomach is full) or that you are looking at images of meals on social networks (which increase Appetite hormone levels). Knowing what are the causes of your constant appetite is the first step to deal with that feeling that does not let you think about something else. It is not about eating without control, but about feeding intelligently. Instead of eating 4 times copiously, we advise you to make 6 smaller intakes a day. This implies breakfast, mid-morning, lunch, snack, mid-afternoon, and dinner. In the two additional meals, you can choose a fruit, a yogurt with cereals, a smoothie, among other options. The first meal of the day should be solid and allow us to satiate the appetite for several hours. On the one hand, it’s not good for you to have a coffee while you put on makeup, change or go to the office. Take the time to have breakfast as appropriate. On the other hand, the menu should have proteins, healthy fats, and carbohydrates. This way, you will avoid the insulin spikes in your blood and you will have energy from the first hours. For example, you can have a scrambled egg (protein), a pot of yogurt or milk, a fruit and a slice of wholemeal bread (carbohydrates) with olive oil, avocado or nuts (healthy fats). Another strategy to avoid hunger at all hours is to increase fiber intake. Fiber is a very important nutrient that helps us to feel satisfied with more time and energy to face the day. To meet the daily dose (20 grams of fiber), you can eat 2 pieces of fruit, 2 servings of vegetables, rice, bread and wholemeal pasta. It is an infusion with many properties that avoids that constant appetite sensation. In addition, it has the ability to burn fat. And if you drink it hot, the stomach will feel satiated. In case you choose cold green tea, it will help you avoid dehydration, which is mistaken for hunger. Ideal for mid-morning or mid-afternoon, accompanied by a handful of nuts or seeds!